SKU: 02039. Category: Flat therapy stones. 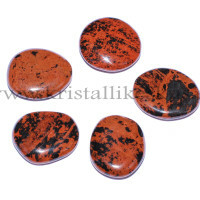 Tiger eye is a bearer of male energy, it gives us a sense of warmth and safeness. Gives strength and helps to stay in reality. Strenghtens weak self-trust and gives the courage to use opportunities better. Tiger eye opens our Solar Plexus and Sacral chakra. 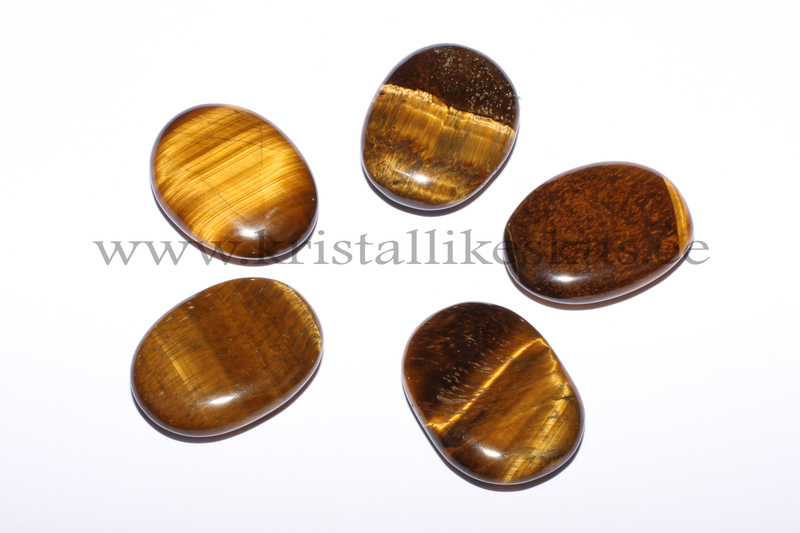 Natural and good quality tiger eye has a so called eye stripe, that moves when moving it side to side. 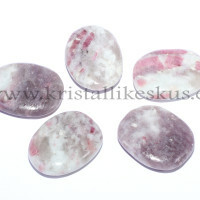 Flat stone suits the best for healingwork, because it covers the chakra and the contact surface are is the largest. Also it will not fall off the body and is large enough to draw forth energetic and physical changes. Flat stones are also the best to carry in your pocket.